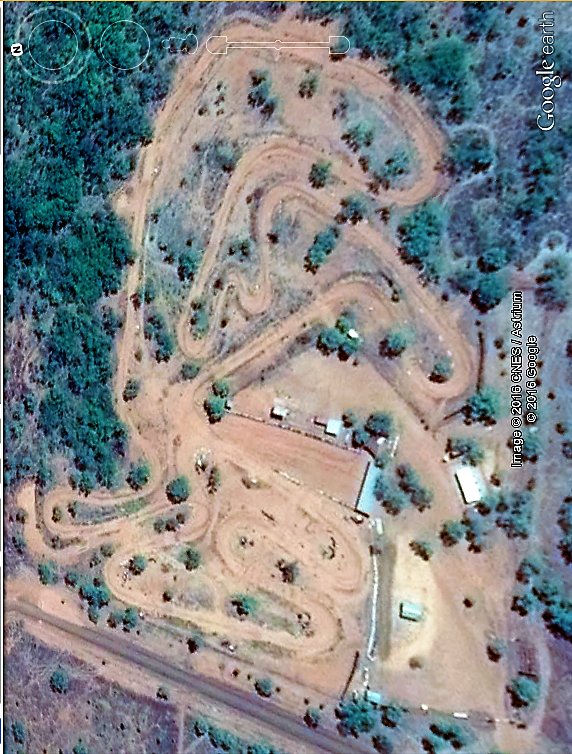 Track Map - Kununurra MotoCross Club Inc.
Kununurra Motocross Club is located near the banks of the Ord River. 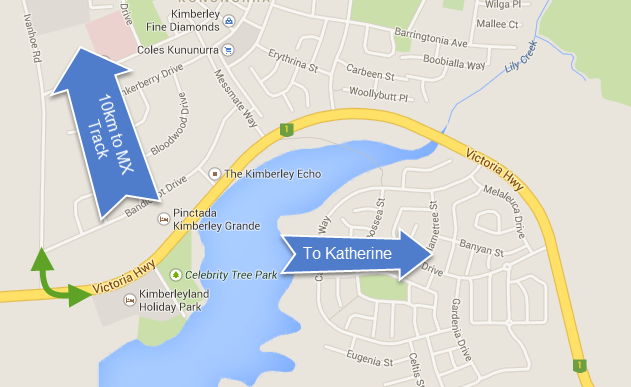 The track is comprised of natural terrain and man made obstacles and is a hard pack track. We cater for both junior and senior riders and have a shorter track for our future riders on 50cc machines. Our track is fully reticulated with water from the near by Ord river and we have a new ablution block with shower, toilets and hot water. Attached to the ablution block are bike washing facilities. BYO pressure cleaner.